This is an artist who played a critical role in contemporary art for several different reasons. Women have historically struggled to be taken seriously in academic art circles, but the 20th century marked a significant change in these attitudes. 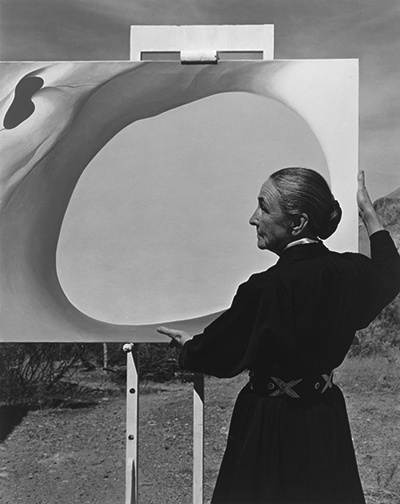 O'Keeffe was one of the artists to speed up this development and make the path easier for female artists of the modern era. The style and subject matter of her work was also fairly unique, covering an unusual array of items in her bright, Modernist approach. Besides the flowers, there were also New York skyscrapers and New Mexico landscapes. 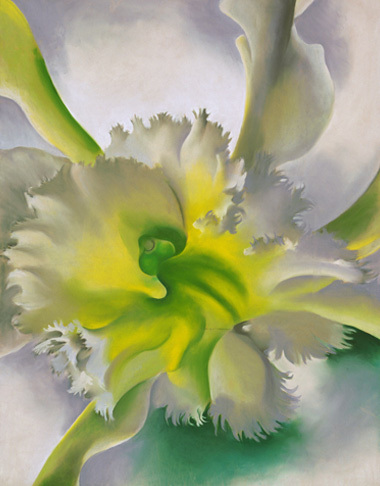 Georgia O'Keeffe has inspired many talented artists in recent years as well as particularly showing to other skilled female painters that there are opportunities for them to succeed if they persevere for long enough. O'Keeffe ranks alongside the likes of Mary Cassatt for contributing alot to the rise and academic acceptance of women in art. Previously they were commonly seen are just possible subjects for paintings, rather than as the artists themselves. 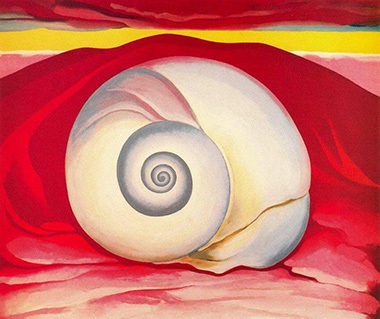 As well as painting flowers in many of her best known works, O'Keeffe also included ocks, shells, animal bones, and landscapes in other pieces over the years of her career. Her style in each of these was a combination of abstract and accurate reproduction to create an overall style which is very much her own. The most important aspect of her works was the colour and careful attention to tones across each item in the painting. 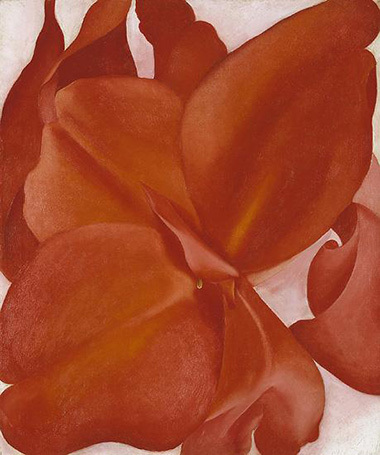 Georgia O'Keeffe was a rare artist in that her innovative flower paintings proved very popular across the pond in Europe during a period of art when it was generally European artists that were attracting the American market. This was a sign of this artist's ability. Her techniques and output has generally been loosely classified as American Modernism. There has been a recent exhibition in London, UK to provide a thorough retrospective of the artist's work. 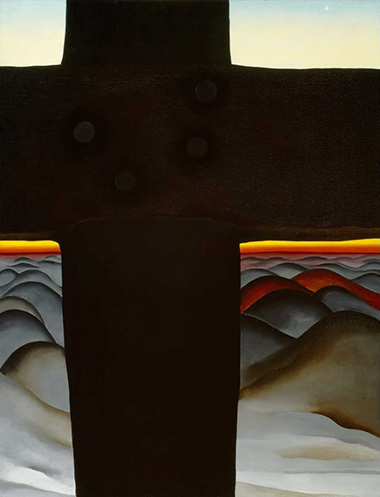 The 2016 Georgia O'Keeffe Tate exhibition ran for several months and proved amongst the venue's most successful. O'Keeffe's journey into American Modernism was always likely as her closest group of friends around the 1920s were all part of it already. These included well known painters and photographers such as Charles Demuth, Arthur Dove, Marsden Hartley, Paul Strand and Edward Steichen. 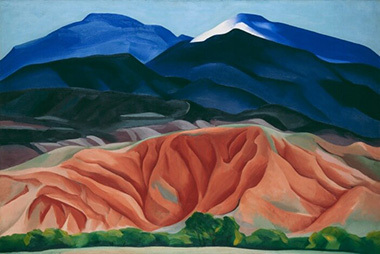 It was also now that Georgia O'Keeffe began to use oils on a regular basis as she moved away from her previous preference of watercolours. 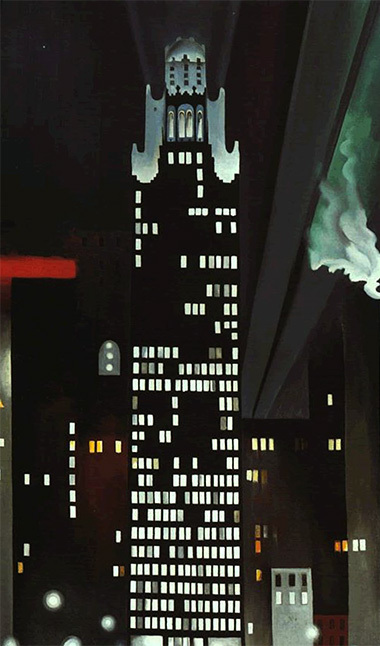 During these early days of oil painting the artist concentrated on buildings of the New York skyline which resulted in works such as City Night, New York - Night and Radiator Bldg - Night which remain amongst her best. Many critics have since placed her as a feminist artist and campaigner although she was first and foremost a Modernist. After the late 1920s the artist started to travel around the United States exploring new areas and inspirations for new works and new directions. O'Keeffe's visits to various parts of the American countryside allowed works such as The Lawrence Tree to come about as she moved away from her original concentration on New York buildings. It was also arounnd this time that the artist's paintings were beginning to achieve great sales figures allowing her name and reputation to quickly spread across the country's art conciousness. At this time the $25,000 spent on a number of her works was a record for any living artist and easily allowed her to gain great control of her future career and direction. Sadly it was around this time that the artist suffered a nervous breakdown after pressure built over a delayed piece of art work. The result of this was approximately 12 months without any artistic output as she recuperated slowly. This difficult period of her life is yet another example of a famous, creative artist who struggled more with their own mind than in achieving greatness as an artist. After getting back to her best Georgia O'Keeffe achieved many more commissions from people willing to pay large amounts for them. Much of her previous collection of paintings was displayed in prestigious locations across New York, where it had all began many years earlier. Her connection to this city has always remained strong even after she moved away to seek new ideas. 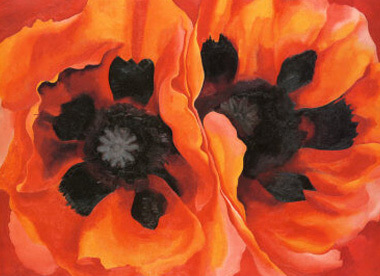 After a her death the Georgia O'Keeffe Museum eventually ended up with many of her works and this popular museum continues to promote her legacy and ensure her reputation is continued and protected amidst a society where copyright plagiarism is particularly common. 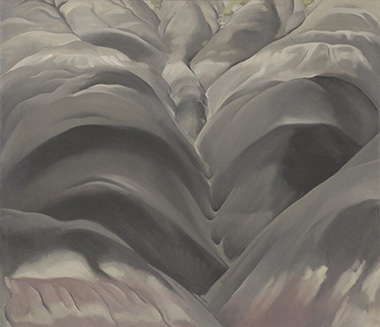 The Georgia O'Keeffe museum itself has a strong online presence as well and is a good resource for further information on this popular American artist. 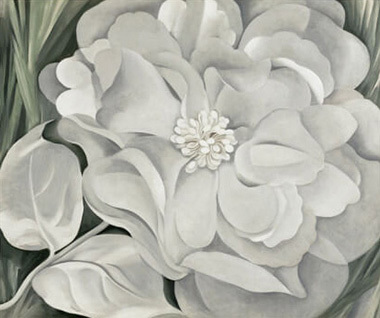 Georgia O'Keeffe prints are great examples of American contemporary art and this website hosts great paintings by this fantastic painter, with information included on where to buy reproductions of her works. All the paintings are offered as giclee prints, stretched canvases, unframed posters and framed prints. O'Keeffe has a truly contemporary style which concentrates on colour and most of her paintings are ideal as framed prints for minimalist style homes and offices. 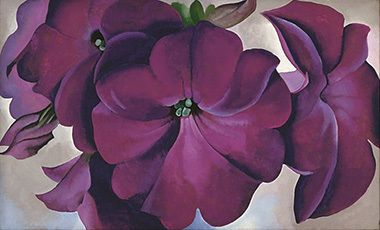 You can buy prints of many famous Georgia O'Keeffe oil paintings such as Oriental Poppies, From the Lake I, Black and Purple Petunias, Red Cannas, Black Iris, Poppy, Lake George Early Moonrise Spring, Blue River, Pedernal and White Camelia. 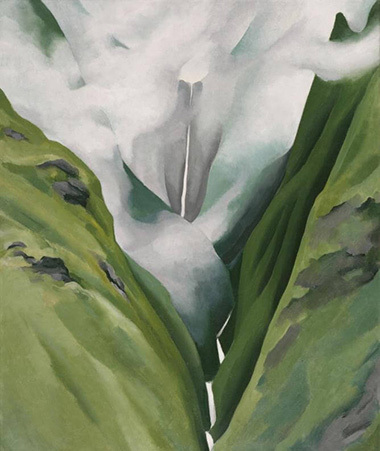 The art prints on this page are some of the very best works by artist O'Keeffe with a full list available from the sitemap which covers all pages in the georgiaokeefferints.org website. As the Georgia O'Keeffe Art.com gallery grows in size we will add each and every painting here. 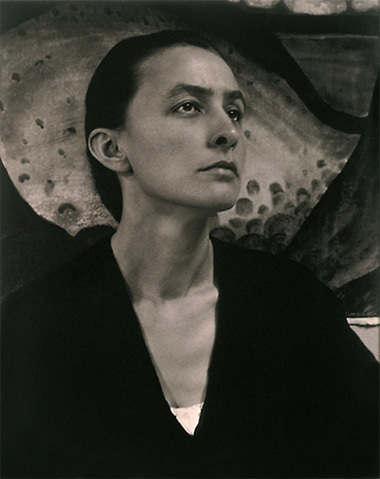 The life and works of Georgia O'Keeffe have attracted great interest from the artistic public and she has become perhaps one of the ten most popular American artists currently thanks to regular exhibitions of her works and their suitability as print reproductions for homes and offices across the United States. There are also several excellent books and catalogues available which outline many works from her career and go into greater detail about her turbulent life and impressive artistic contribution. Few can afford the originals included in this website, on the rare occasions that they appear up for auction. Most choose to go for reproduction prints of O'Keeffe's original oil paintings as any of framed giclee prints, unframed art prinst, posters, calendars and stretched canvases. In fact, very few reputable companies hold the suitable copyright licenses required and as such it is not easy to find an affordable handmade reproduction oil painting. 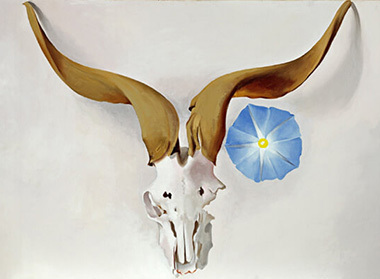 Georgia O'Keeffe is a fantastic American contemporary that is covered in full throughout this website. If you are interested in discovering further artists please see the resource lists below. Roy lichtenstein was an exceptional American Pop Art painter who sat alongside Andy Warhol in moving contemporary art onwards. You can buy Lichtenstein prints here. Normal Rockwell prints offer another great option for those interested in buying art prints for their homes. Norman Rockwell was a talented illustrator who created interesting scenes and characters in his similarly contemporary style. 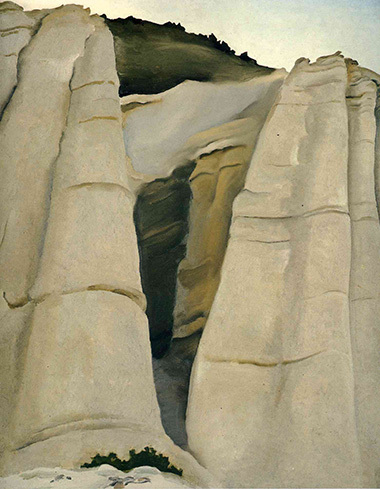 The best O'Keeffe prints can be found from the gallery that is linked to below. 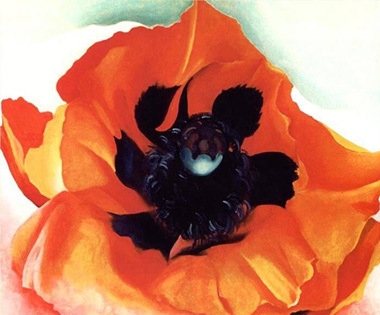 The American contemporary artist's best paintings include Oriental Poppies, From the Lake I, Black and Purple Petunias, Blue River, Pedernal and White Camelia. Links to further resources on Georgia O'Keeffe will appear here shortly, along with other related artists who you may also like and whose prints may also be to your taste. These will naturally be predominantly contemporary American artists, but not entirely. The fair conclusion on this artist is that her paintings make exceptional choices as prints to buy online thanks to the colour selections that she made, the detail that she included in most of her works, plus the great popularity and lack of competition on her coverage of feminine subjects such as an array of attractive flowers. 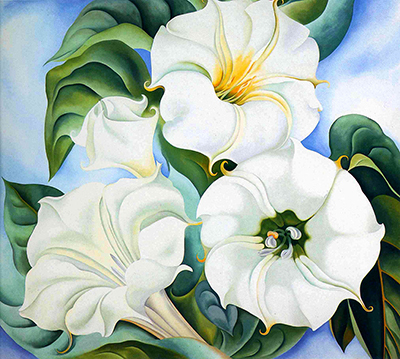 Disclaimer: www.GeorgiaOKeeffe.org is a personal website covering the career of famous American painter Georgia O'Keeffe, but is in no way an official website for Georgia O'Keeffe and www.GeorgiaOKeeffe.org does not claim to be that in any way. 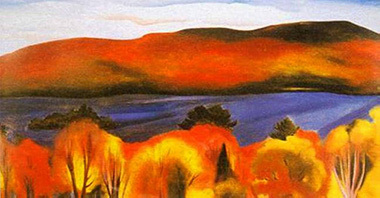 The Estate of Georgia O'Keeffe and their presence hold all necessary copyrights and licences for all of his paintings and other works. All prints, paintings and photos included in www.GeorgiaOKeeffe.org are provided as an affiliate to Art.com who hold necessary permissions. Art.com pay us small commissions based on any prints or paintings that you buy as a result of using this website.